This musical version was produced in the DeJong Concert Hall at Brigham Young University and was directed by Barta Heiner. 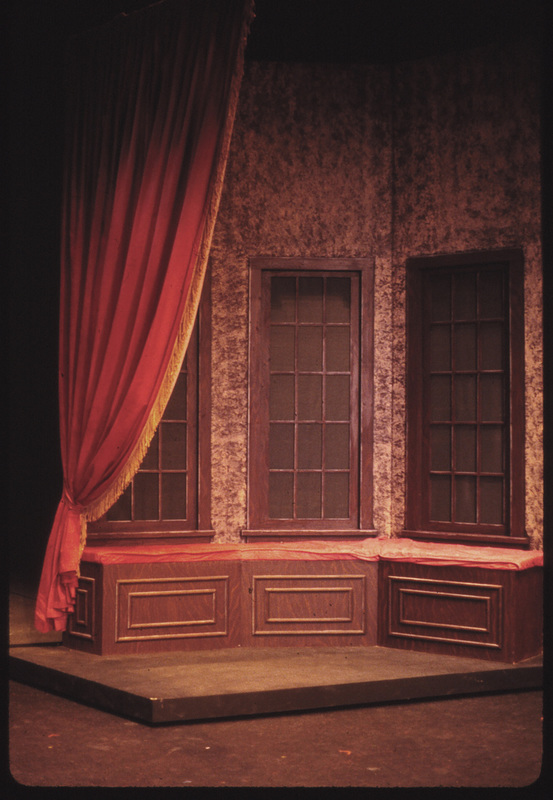 The director wanted a liquid environment where the audience could move from each location quickly "a vista." 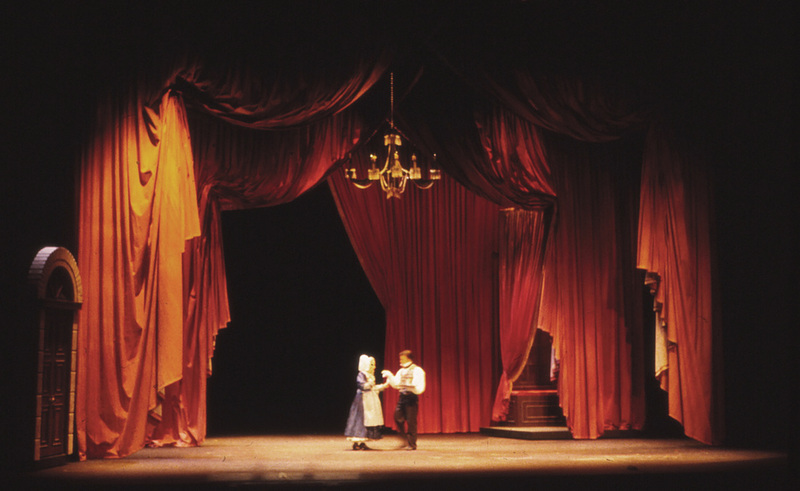 With the concept of the layers humans hide behind, the design had simple scenic elements that rolled in and out behind layers of draperies that pulled in and out to reshape the stage into various configurations. 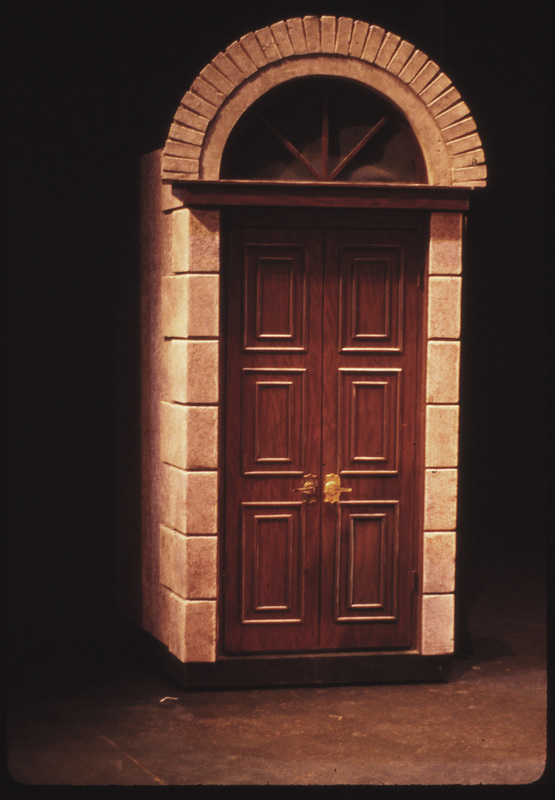 Scenic elements were painted in trompe l'oeil technique. 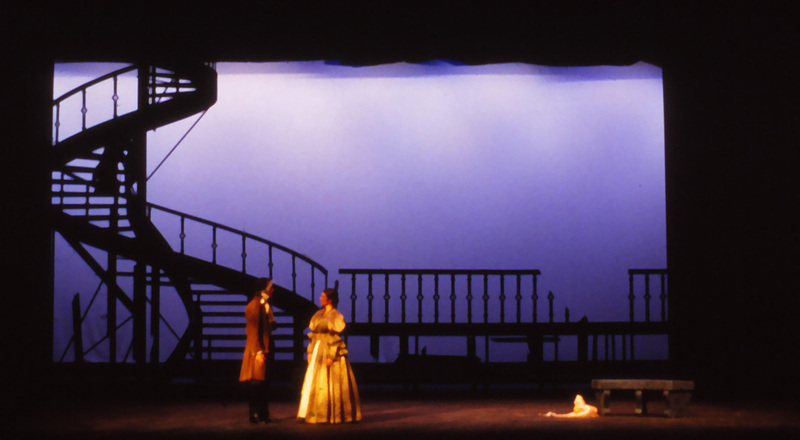 Lights helped to form the various sizes of the locations with a spiral stair case and platform wagon behind to offer various levels. The staircase itself rotated so that the audience could literally go up the steps with any character.